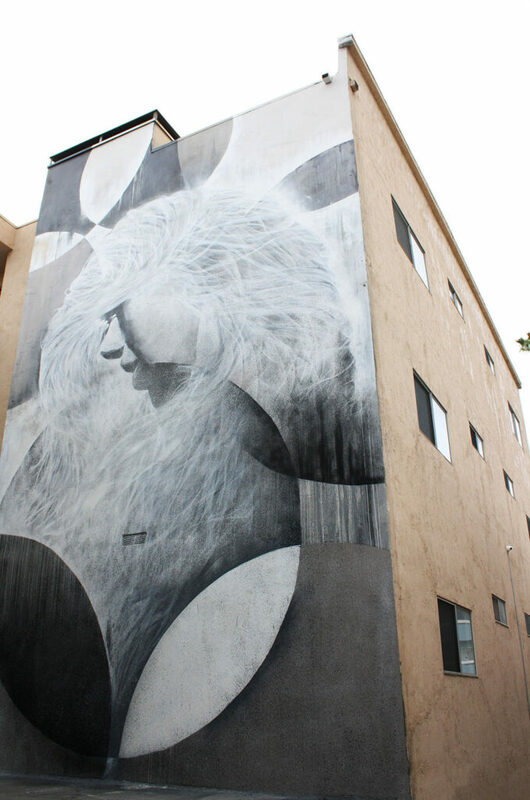 Santa Monica is an arts and culture hub, home to 120+ street art murals all within its 8.3 square miles and eight neighborhoods. 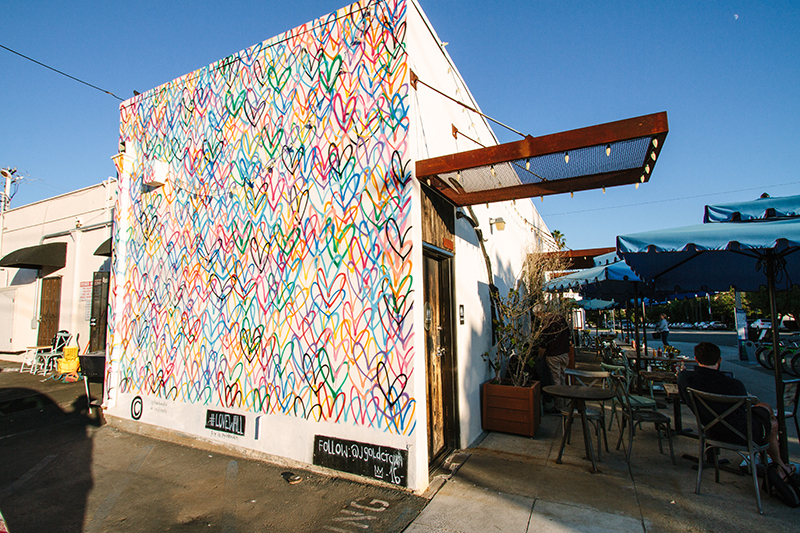 The Montana Avenue neighborhood emits a more high end and local shopping atmosphere along its tree-lined streets. 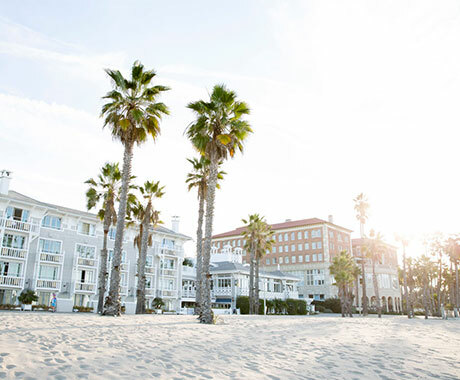 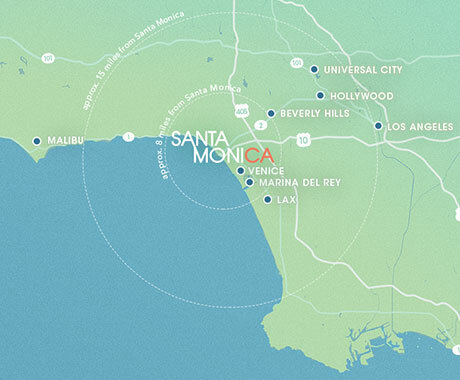 Though this is a largely residential section of Santa Monica, there are more than 150 boutique shops and restaurants lining the 10-block destination. 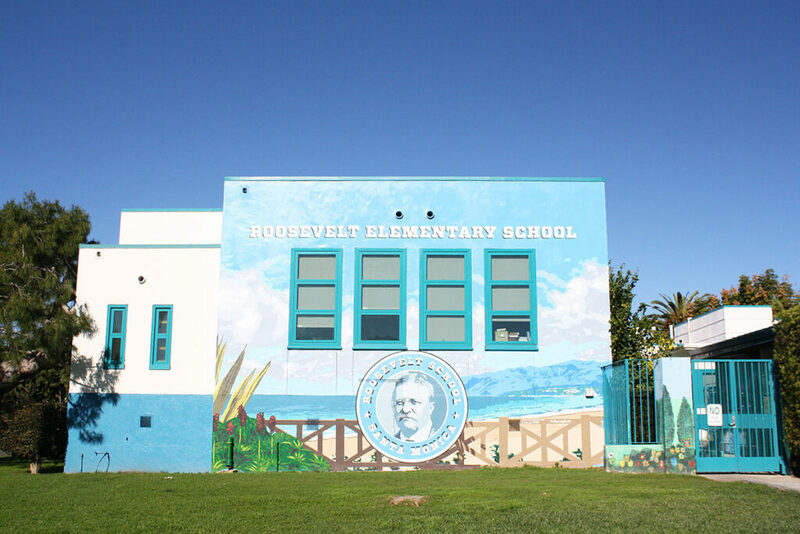 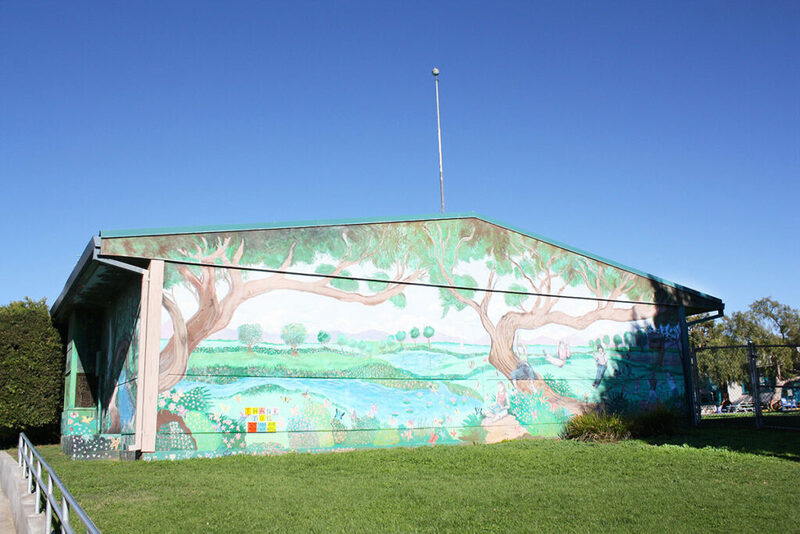 To see the murals that are in the Montana Avenue neighborhood, scroll down or view the Google map of locations. 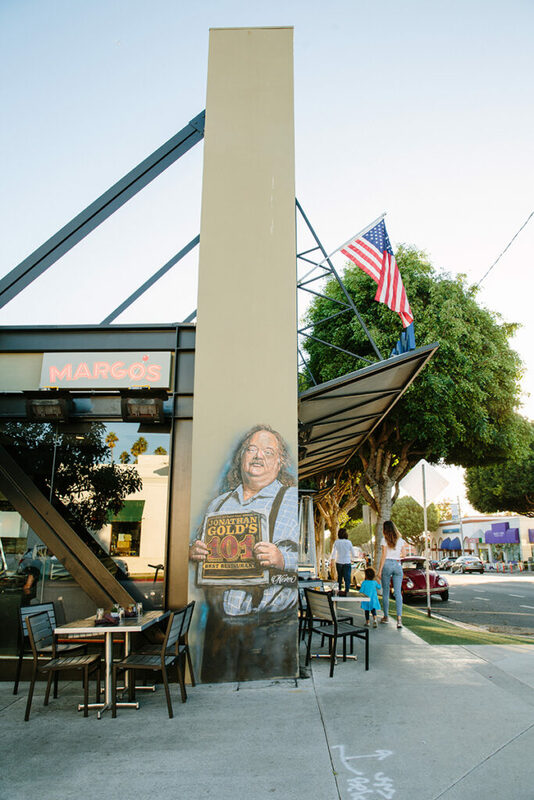 This mural was painted as a tribute to Los Angeles Times food critic Jonathan Gold who passed away in July 2018. 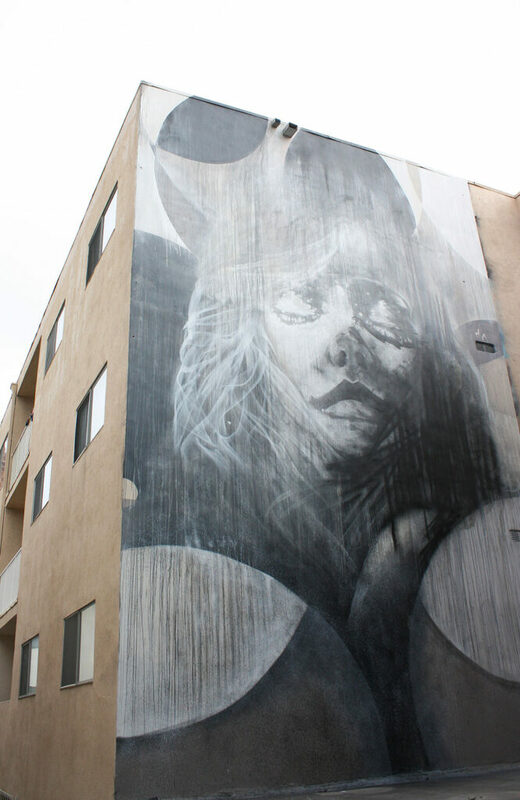 It’s reported that Jonas Never completed the ten-foot-tall mural in just eight hours.